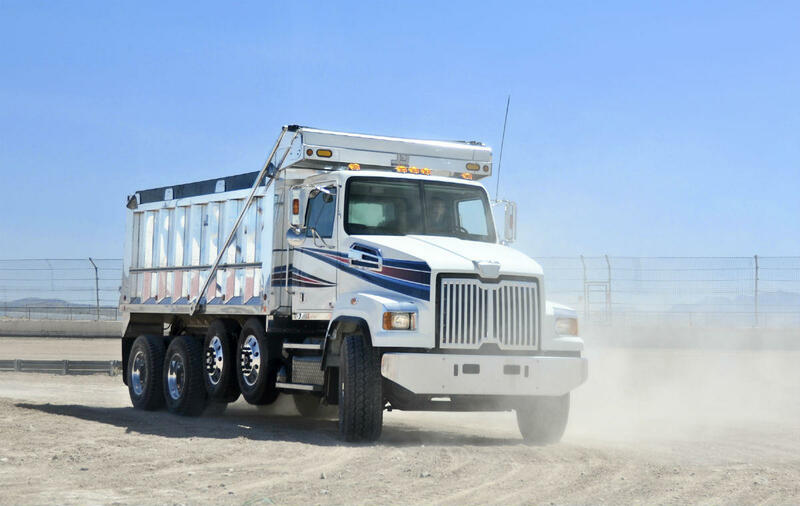 Dump truck accidents can happen for a number of reasons. While each case is unique, there are certain steps you can take to help ensure that your car accident case is handled correctly. As one of the preeminent car accident firms in St. Louis, we understand how to build strong cases. When you hire The Hoffmann Law Firm, L.L.C., you can be confident that everything will be done to protect your rights and recover the compensation you need. A car accident involving a dump truck can be quite serious. A dump truck is generally used for transporting materials such as gravel, sand, or dirt for construction purposes. They are typically equipped with a hydraulically-operated open box bed in the rear, so that it can be lifted and the contents deposited on the ground or into another receptacle. A car accident can happen due to dump trucks carrying such materials. For instance, gravel could spill from a dump truck as it travels down the road. The gravel can break windshields or cause other types of damage to a vehicle that is following behind. The abrupt impact of the gravel, or other substance, smashing into a car or tire, could startle a driver and cause him/her to lose control and crash. Another scenario could involve an unsuspecting driver driving on a road when a dump truck fails to yield when exiting a construction site. The impact of such a large truck smashing into a smaller vehicle could be catastrophic. Also, due to the nature of a dump trucks function, they are often driven in reverse and accidents from backing up can occur. A car accident involving a dump truck often ends in debilitating, even fatal, injuries. If you or a loved one have been involved in an accident with a dump truck, contact The Hoffmann Law Firm, L.L.C. today to discuss your case. We have a successful track record of handling personal injury claims that result from severe and catastrophic car accidents. We believe that when the negligent driving of another person causes injury or harm to you or a loved one, the at-fault party must be held responsible for his/her actions. Call us today at (314) 361-4242 or fill out our online contact form. With more than 15 years of experience, no case is too complex for attorney Christopher Hoffmann. Our goal is to secure maximum financial compensation for your physical and emotional recovery.